The lovely personal personal trainer and I have been in NYC since the 26th, and will bop around the city for another few days. 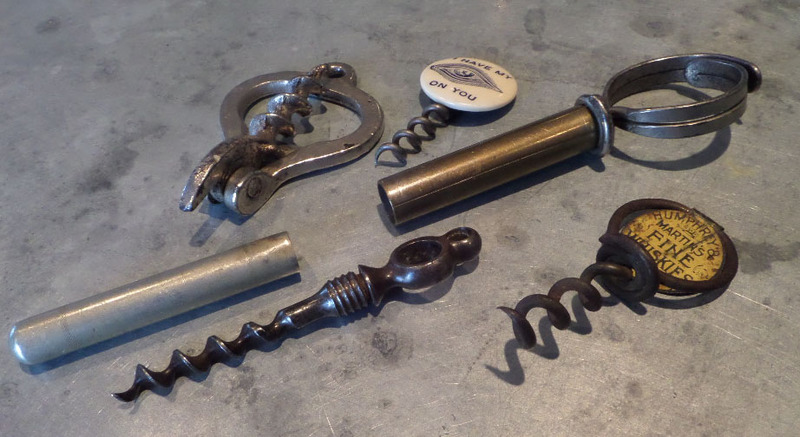 There hasn’t been a whole lot of antiquing, but that doesn’t mean that corkscrews haven’t been utilized (multiple times). Whilst traipsing around the city however, an email deal was made for a corkscrew that I have wanted for some time, And, I expect that this–well actually a similar corkscrew, as the deal was made without seeing a picture–will be waiting at our post office box when we get back to the island next week. Yes.. A Maud’s patent has been added to the collection! 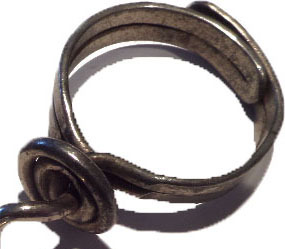 Want to learn more about the Maud’s patent corkscrew. Check out Steven Webb’s site! Last night we celebrated Christmas Eve with a couple of bottles of 2007 Paloma Vineyard Merlot–from our good friend, and fellow corkscrew collector, Shel Richards. It is still tasting great Shel!!! Tomorrow we head to NYC for a week or so. If any corkscrews turn up in our travels, I will report back here. After digging out of the 15 inches of snow we received the other day, last night we got about 7-8 inches more. 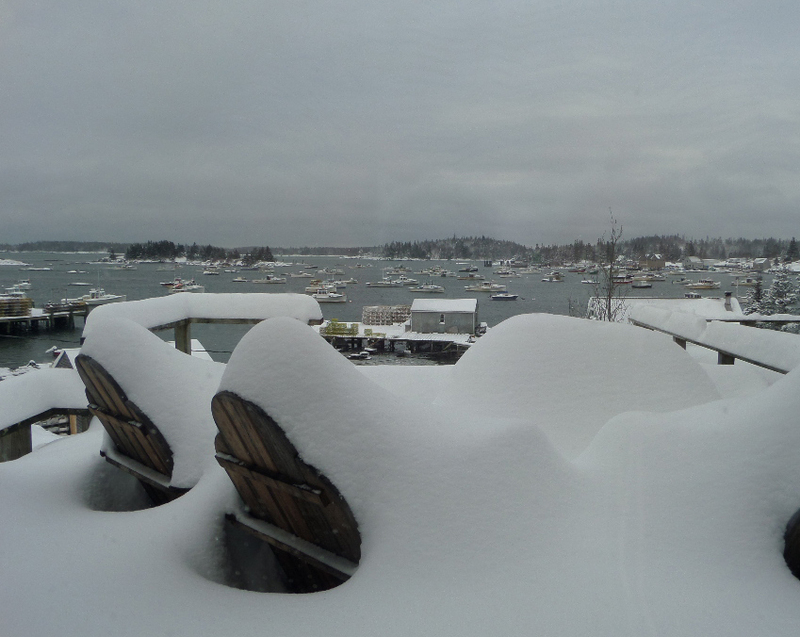 The island is lovely under a blanket of snow, but I think I have spent the better part of four hours shoveling today. Okay, maybe it as three hours. And, I have yet to get to the back of the house! On a corkscrew note, or rather a cork puller note, the other day I managed to unearth one of those “Original Malt Syrup” Greeley type hook opener thingies. And, after arriving at what I felt was a fair price and making an offer, the person in possession of said Original Malt Syrup Greeley type hook opener thingy responded, saying that my offer was too high, and countered at a significantly lower amount with shipping included. My offer was too high? He followed this with another interesting tidbit of information. He has three other Original Malt Syrup Greeley type hook opener thingies, and when he runs across the others–which he had recently misplaced–these too will be heading to the island. 1. For several years, a small group of collectors had a running tradition of publishing their best 6 “wish list” for the coming year. For several years—a decade or so—a Dickson has been on my wish list. And, finally it can be crossed off. 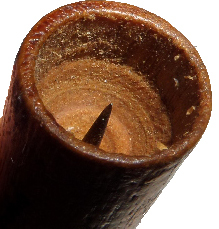 This is a nickel-plated example of the 1870 Dickson patent; marked on the shaft with the patent date of “PAT AUG. 2, 1870” (see O’Leary, 1996, p. 36). 2. 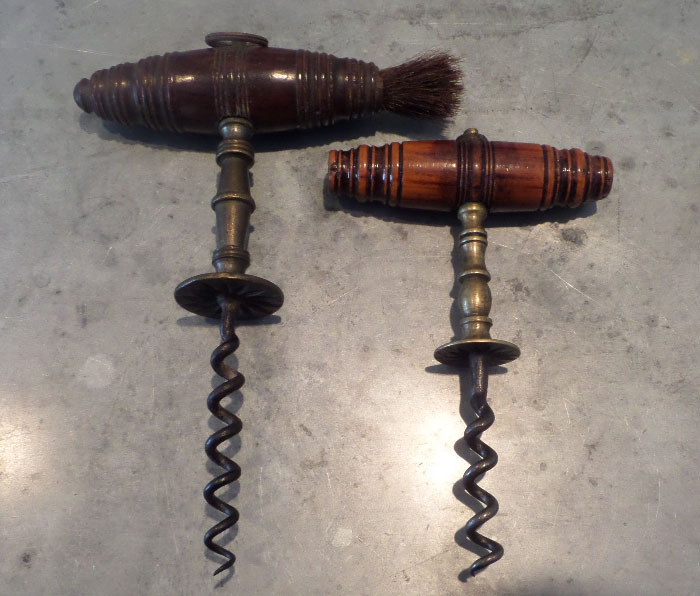 In late summer of this year, I had caught wind of an auction in Pennsylvania that had a small collection of corkscrews that would be part of the auction. 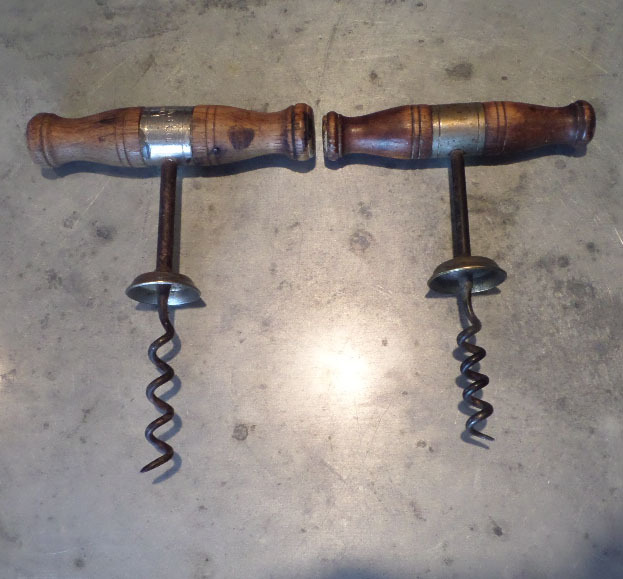 After a few phone calls with the auctioneer—he doesn’t do email—he explained that he would be offering the tray of corkscrews as choice; meaning he would hold up the tray in the room, and whomever bid the highest would get first choice off of the tray. This would continue until there wasn’t enough interest, and then the remaining few would go as one lot. As it happened, I got first choice. And, then I also got second choice. The rest, I left for the other bidders. 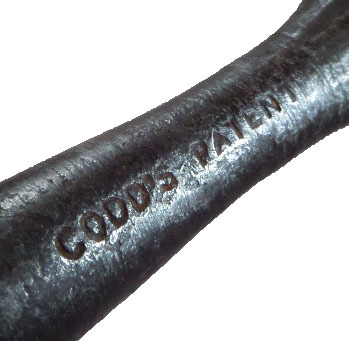 The first choice was Hiram Codd’s 1881 patent, marked “CODD’S PATENT” and “G.F.HIPKINS” (see O’Leary, 1996, p. 62). 3. While the search for more information on the corkscrews manufactured by James D. Frary will continue—as will the hunt for his corkscrews—this year I added another interesting variation of his design. 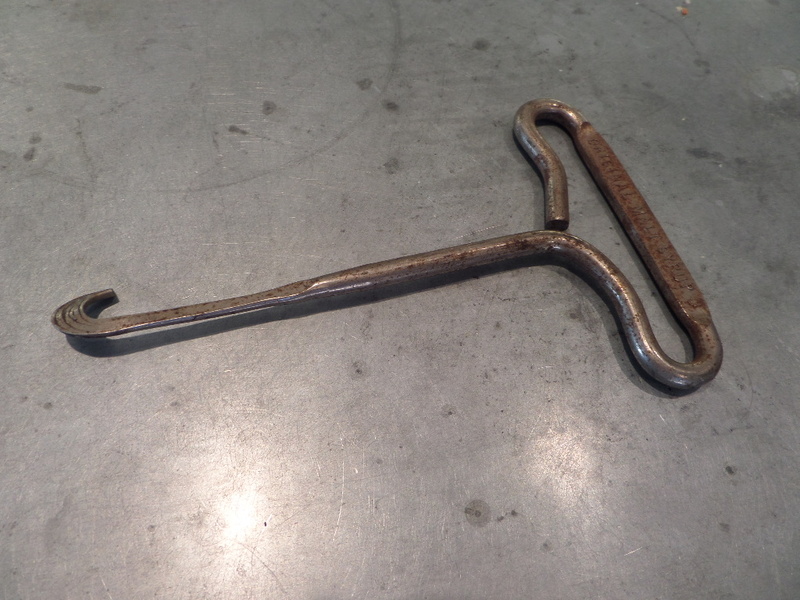 Unmarked, as is typical, this one features a Hercules-type frame, hammer, spike, and solid decorative cast handle (see L’Africain, 2010 at http://www.the-icca.net/library/Fraryations/1.html and L’Africain, 2013 at http://www.the-icca.net/library/Finding_Frary/1.html ). 4. Several years ago, Mark Woodard–through Don Bull’s website–published an article about a newly discovered patent. The A.W. Stephens Cigar Perforator with corkscrew of 1908. After reading the story, the hunt began. Shortly thereafter, Barry Taylor had reported that he too had one, and the hunt continued. 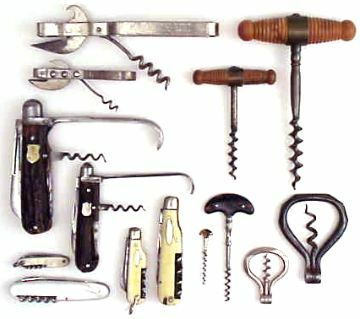 I can’t honestly say how many Clough sheath corkscrews I have picked up hoping that I would find an A.W. Stephens, but this year at the September Brimfield Antiques Show, amongst a dozen Cloughs, I finally found one. And, it is in fantastic shape. With advertising for “John the Shoeman, 184 Mathewson St., PROVIDENCE R.I.,” and on the reverse side of the sheath, “ADVERTISERS, SUPPLY CO. PROVIDENCE R.I.,” it also carries the patent date for A.W. Stephens’ cigar tip perforator (patent number 889,556) “PAT. JUNE 02, 1908” (see O’Leary, 1996, p. 234). 6. 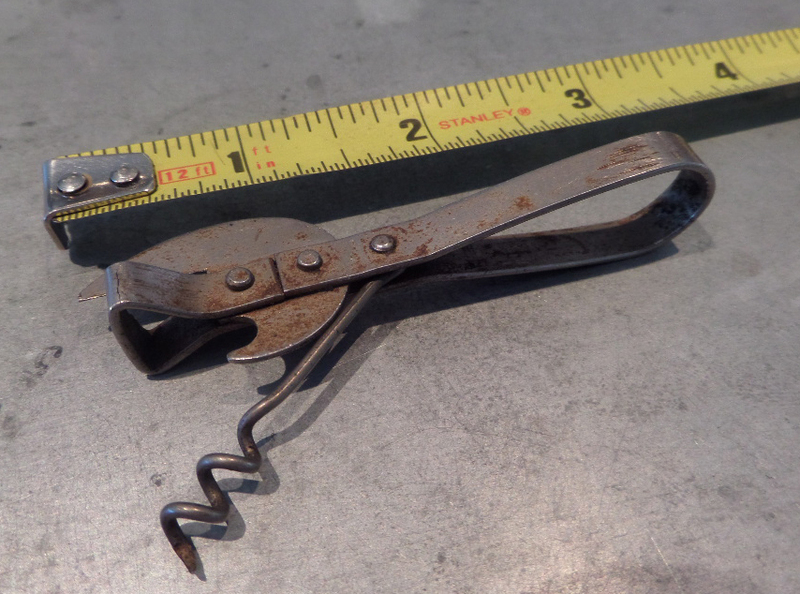 After researching and publishing an article on Detroit Corkscrews in 2012, I received an email from Paul Luchsinger who explained that he had a Welch Grape Juice Company Puddefoot that was from Watkins, NY as opposed to the Westfield, NY example that was in my collection. It was also the flat version, rather than the boat type handle. 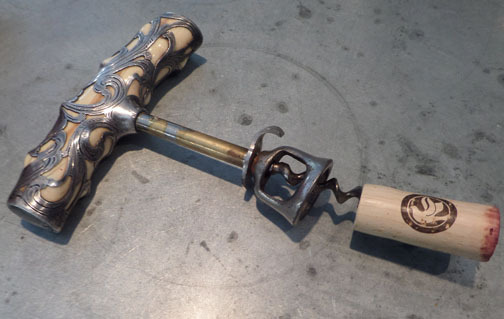 This would make for the 19th variation of the corkscrews of the Detroit Cork Screw Company in my collection. And, while not exceedingly rare, a rather apropos corkscrew for the Best Six, as Watkins (Glen), NY will be the location of the ICCA Annual General Meeting Gala in 2014 (see L’Africain 2012 at http://www.the-icca.net/library/Detroit_Corkscrews/index.html and O’Leary, 1996, p. 88). With the Best 6 having already been distributed, it is time to start the 2014 hunt! What will make next year’s list? The mind races!!! The lovely certified personal personal trainer and I are headed off island for a couple of days for the next half-marathon in our half-marathon a month adventure. This time the half will be in Atkinson, NH. Forecast for the race on Saturday: Cloudy, 12 degrees. And, with the wind chill, at this point, they are suggesting it will be all of about 5 degrees. On the corkscrew front, after a slight delay, the latest issue of The Bottle Scrue Times is being mailed out tomorrow morning. For those that are ICCA Members, be sure to check your mail boxes in the coming days. Of course with this issue being mailed (over 50 pages of all things corkscrew). I will start looking towards the Spring issue! 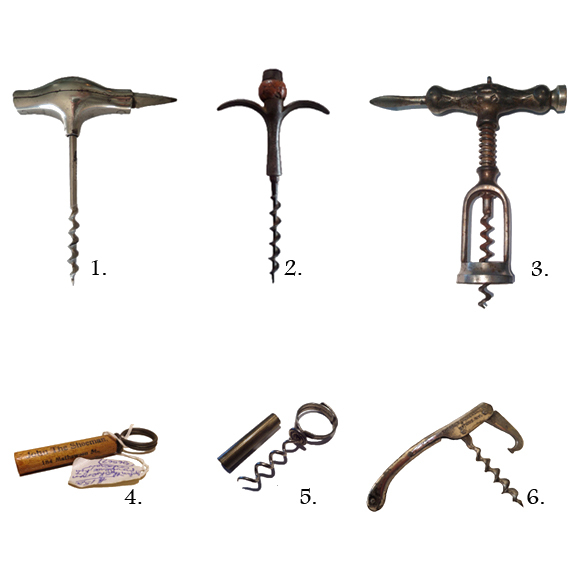 Also, as mentioned recently, it is that time of year when corkscrew collectors start compiling and sending out (or publishing) their best sixes. I have made my final decision on what will make the list, and I will update the blog upon our return (and thawing out). 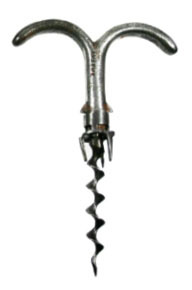 According to Don Bull’s website, the Monopol rocket corkscrew was patented in 1963, so it is relatively recent vintage. Still, in 15 years of collecting, I have only seen three turn up for sale. The first was at the ICCA/CCCC meetings in 2008–where the bidding went way above my price point. However, as luck would have it I acquired the corkscrew version later that same year. And, a month or so ago, I was able to procure one of the needle lifter version. Well, not really procure, but purchase from a seller in France and then wait for it to be shipped. 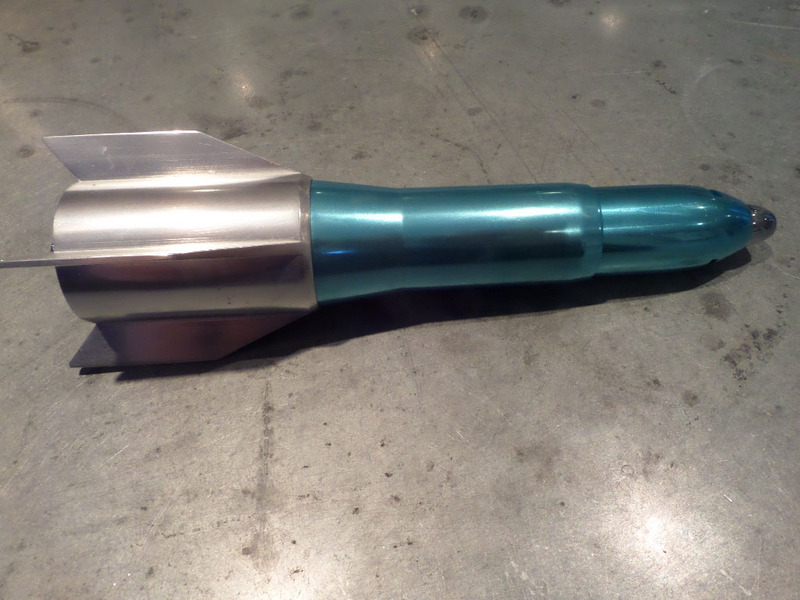 After nearly a month of waiting for the corkscrew to turn up at the post office box, the rocket arrived yesterday, and it is outrageously cool! 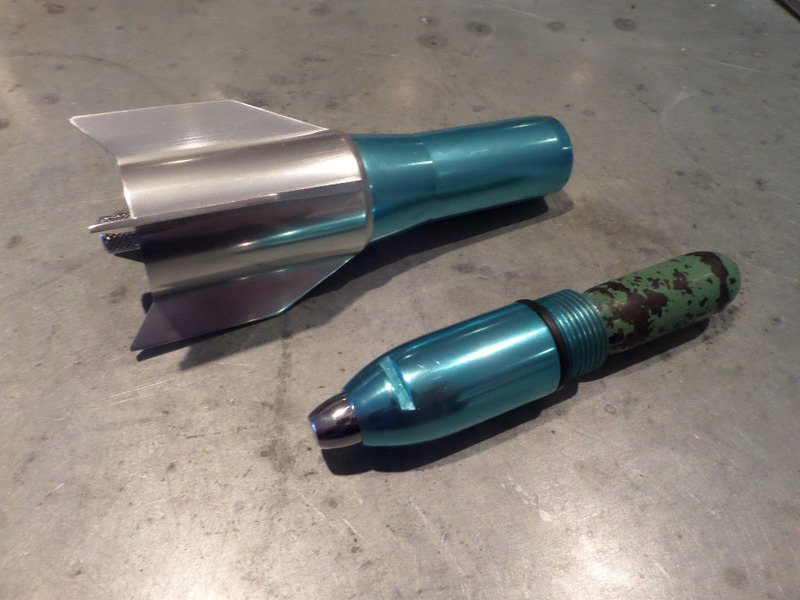 Want to learn more about Monopol rocket corkscrews… Check out Don’s site! 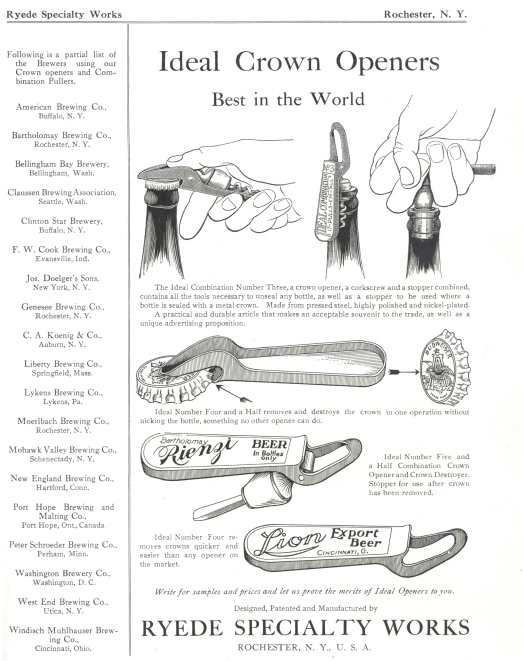 A Rydquist patent corkscrew was listed on our second favorite online auction site recently, and this one was in nice condition, and carried on it an advertisement for Rienzi Beer. With a healthy buy it now price, but with the option of making a best offer, I thought about it for a moment, and then noticed there had been an offer already that was declined. I went back, and looked at past ICCAuction listings, to see what has recently been paid for a Rydquist. and $240 for one with an advertisement for Maltosia. Still, the ad looked familiar to me, but it wasn’t that I had seen the Rydquist with corkscrew emblazoned with Rienzi. 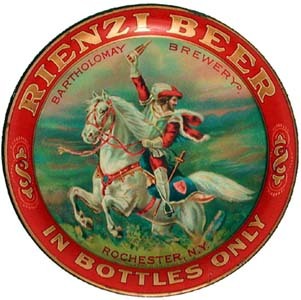 The Rienzi was in an advertisement for the Rydquist itself. I considered my original offer, and thought… What would be fair for both the seller and myself. And, as importantly, what would TWJ do…? I upped my offer just a bit. And, that did the trick. And, I ran across another full size versus mid size. As mentioned a few days ago, we are nearing the end of the corkscrew collecting fiscal year, and the decision on what makes the best 6 list is sometimes difficult. And, while I think the best 6 is nearly complete, you never know what might happen in the coming weeks. Still, I am fairly confident that these five are going to be in the best 6. The 6th, is still up in the air at this point. 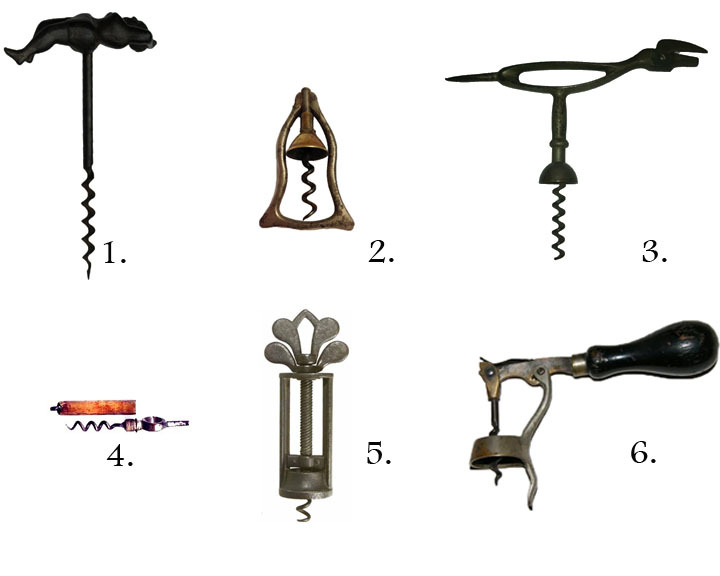 There are some front runners, and I am leaning towards one particular corkscrew, but what if a Philos Blake turns up? Or, perhaps a Russell? Or, what if the Frary with Can Opener handle gets sent my way…? 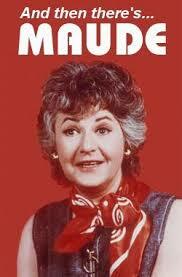 What if there is a folding Hicks and Reynolds made available? What if? 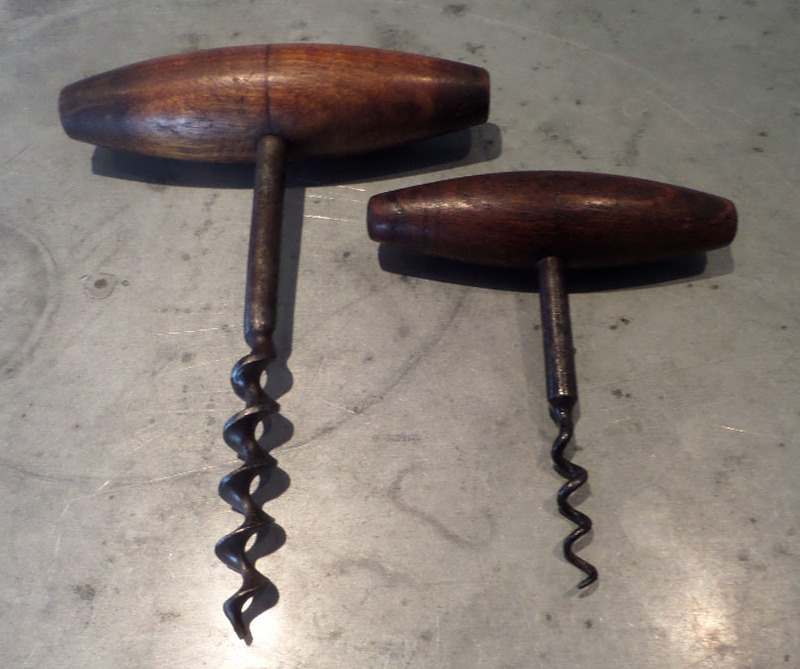 Both Tommy and RL posted on their blogs regarding miniature and half-sized/mid-sized corkscrews over the past couple of days. And, while I would expect Peter to throw a huge collection of mini pieces on his site, I was thinking about miniature versus perfume; smaller examples of a full-sized corkscrew as opposed to small corkscrews that, perhaps, were intended to open poison/perfume/medicine. And, while there are several different sizes of Murphys, here is a full size and a tiny example. While not a dramatic different, here are two Haffs with buttons. Full and mid? 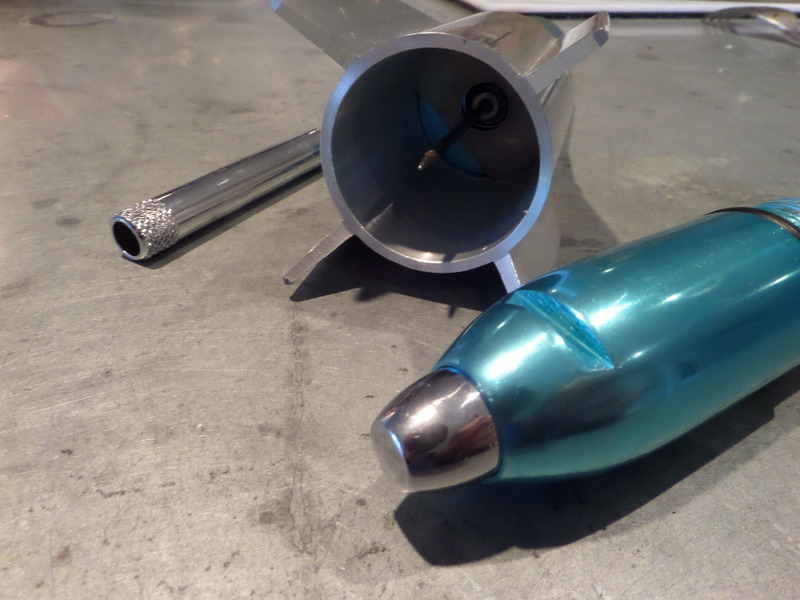 Now there are plenty of tiny medicine/perfume corkscrews, but they are indeed full-sized. I traded Tommy a salesman sample of the Browne patent can opener which is definitely tiny. And, of course there are the mini-legs. There are the miniature spring frames, the miniature columbus split frame, the small Wilson S-Pat corkscrews, and of course tons of little bows out there–a few of which have become necklaces for the lovely certified personal personal trainer. 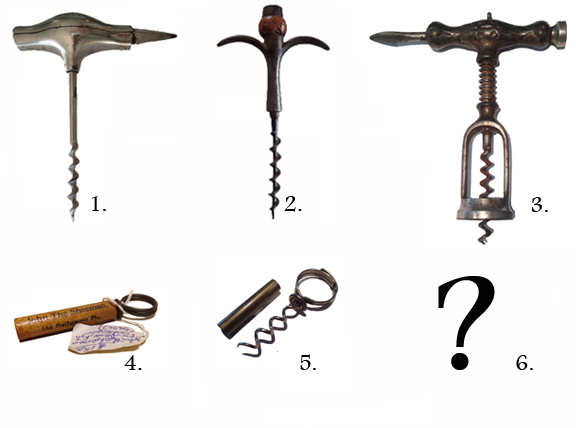 What small sized, miniature versions of the full-sized corkscrew are out there? Feel free to submit photos of your full-sized corkscrew adjacent to its smaller/mid-sized version. 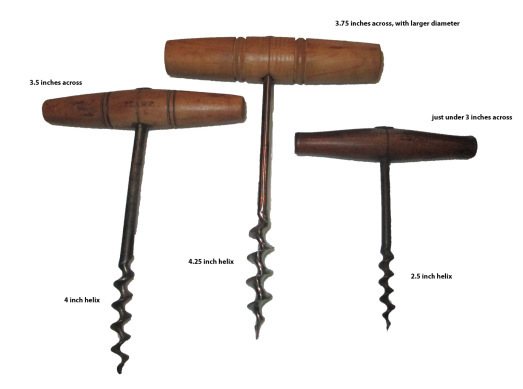 I will post them here, and it could make for a fun database of full/mid/small corkscrews.